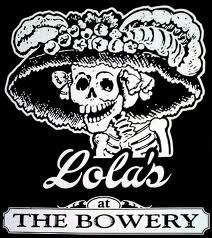 Today I have another recipe inspired by Lola’s. I recently posted an heirloom bean burrito that was inspired by a meal from Lola’s Caravan, a vintage Airstream trailer and part of the burgeoning food truck tradition in Tulsa. From Lola’s old brick-and-mortar establishment, I remember the Pizza Nico (a carne asada pizza with chevre and cilantro sauce). I based this recipe on that dish in my pizza recipe contest creating OCD days. Cook ground beef until just brown. Add onion, tomatoes, garlic, red pepper flakes, red wine, balsamic vinegar, spices, and salt and pepper. Simmer for 45 minutes. Preheat oven to 425 degrees. After meat mixture has simmered and cooked down, spread meat mixture on pizza crust. Bake for 7 minutes. Remove from oven, crumble goat cheese and sprinkle on mozzarella. Return to oven and bake about 5 minutes more. 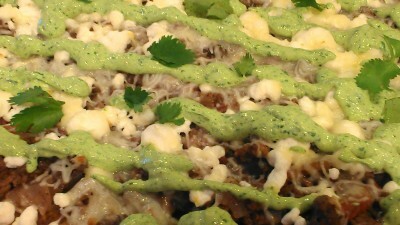 While pizza is cooking, place sour cream, cilantro, green chile powder, garlic, and salt and pepper in a blender. Process until smooth. When pizza is done, remove from oven and drizzle cilantro sauce over pizza. Slice and serve. *You can always buy pizza dough or buy a prepared crust, but why? Please go here or here or here for three different pizza dough recipes. When making pizza, I always preheat the oven for an hour with the pizza stone inside. Then, for a crispier crust, I place the crust on a piping hot stone, prick it with a fork, and bake for five minutes. Remove it from the oven and place on toppings, then bake as usually. This method always gives us a crispy crust. Of course, real carne asada uses flank steak or skirt steak but this recipe was developed for a weeknight dinner. In fact, the beef can be prepared ahead of time (as can your homemade pizza crust) for a quicker meal. 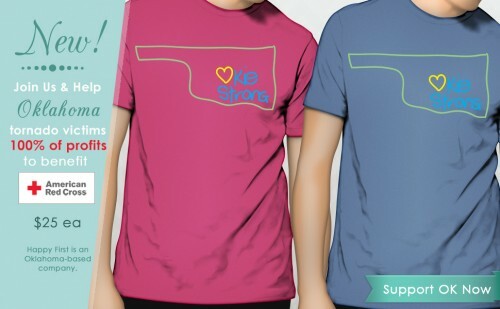 As another reminder about the tornado victims in Moore, Happy First is also donating 100% of profits on a new Okie Strong shirt. Let’s remember to continue to keep Moore in our hearts as the city starts rebuilding. 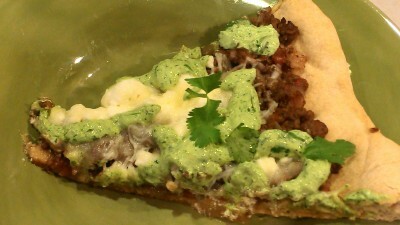 Love that cilantro sauce on the pizza! So different and delicious! Girl, I am having quinoa for dinner. Do you KNOW how jealous I am? 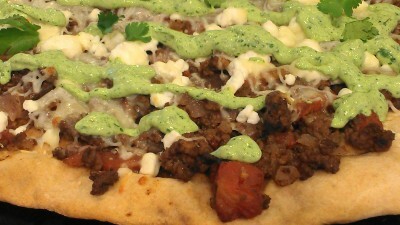 Love, love, love Carne Asada but on a pizza, WOW! That sounds amazing! The sauce sounds wonderful and very versatile if, I said IF there’s any leftover! Yep, it went pretty quickly. Thanks, Chris! Uru, you are too kind. Thanks! What a wonderful idea for a pizza topping! I hate when my favorite restaurants don’t last…but glad you were able to recreate this winner! What a great take on pizza! I’m soooooooooo behind on my reading. Great post of the Tshirts – we got 2. Storming over here this morning again but they say no tornadoes. I’m ready for it to stop now. I’m working my way backwards on email so I think I have 3 more posts of yours to read……..so sorry, there’s just so much to do and it’s SO SLOW to go anywhere over here because of the diverted traffic. I just saw that Moore had at least an inch of rain but it looks like thunderstorms only, thank goodness. I do have a love affair with homemade pizza. It makes me happy–this recipe is no exception. I want a slice right now–it’s 7 AM! Yes to the sauce–be still my heart! Cold pizza for breakfast is meant for 7:00 A.M. Your pizza looks great. Love the T-shirts too! What a thoughtful idea for a very deserving cause. Thanks, Beth. I had to order one. I cant belive you made this into a pizza. Gosh I am not sure why I didnt think of that I love both and putting the two together is so smart! Great idea for an any night pizza! I love carne asada but have never had it with a cilantro sauce. Looks delicious! Let me know what you think of this untraditional version. This is something I doubt you would ever see here in Georgia! I LOVE the sound of it. I just need to go out and buy another cilantro plant. We went camping over the holiday weekend and my plant was decimated down to the stems! I’m guessing it was a rascally rabbit – ugg. So I’m guessing I could get the green chili powder at a Mexican grocery? I’ve never noticed it in my regular store. I had to order mine from Amazon. I usually get it in NM but it has been a long time since we have been. You could make it without the powder though.